If you’re anything like me, the idea of a whole new fleet of motorcycles coming out is beyond tantalizing! I can’t wait to read all about them each year so I can go annoy salespeople with my questions while sitting on them (the bikes not salespeople). I think they see me coming and often just go hide in the coffee room until I leave. I had hoped Yamaha would bring back a new version of the old FZR400, but to my total surprise it’s Kawasaki that realized 400cc sport bikes are the cat’s meow when it comes to a perfect learning size. 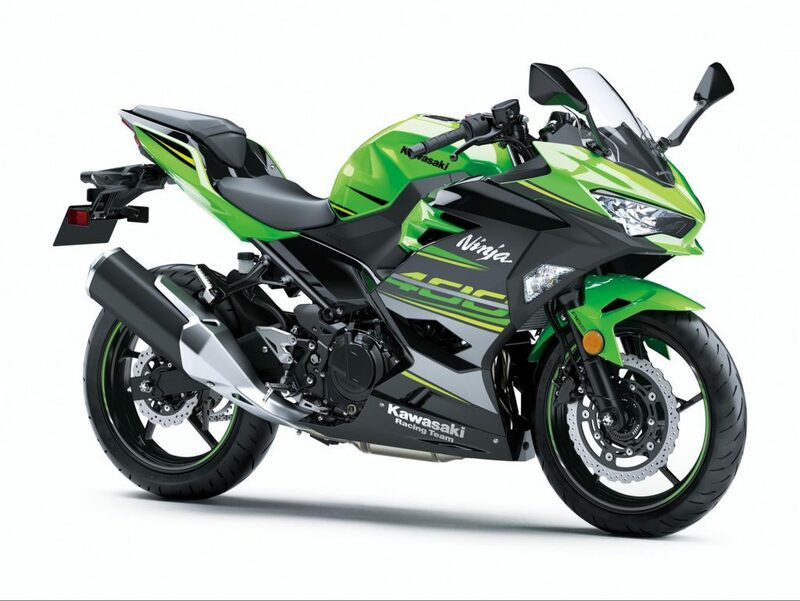 This new 400 Ninja engine isn’t a souped up 300 Ninja surprisingly. This twin engine is completely fresh and 1 Kg lighter than the 300, but still close to the same size physically. Touted by Kawasaki as “Street Born and Track Inspired”, this little Ninja is what I would describe as the perfect sport bike for learning on or for experienced riders to use as a track bike. It’s equipped with a learner friendly assist and slipper clutch that anyone will find easy to disengage due to the ultra light pull weight. 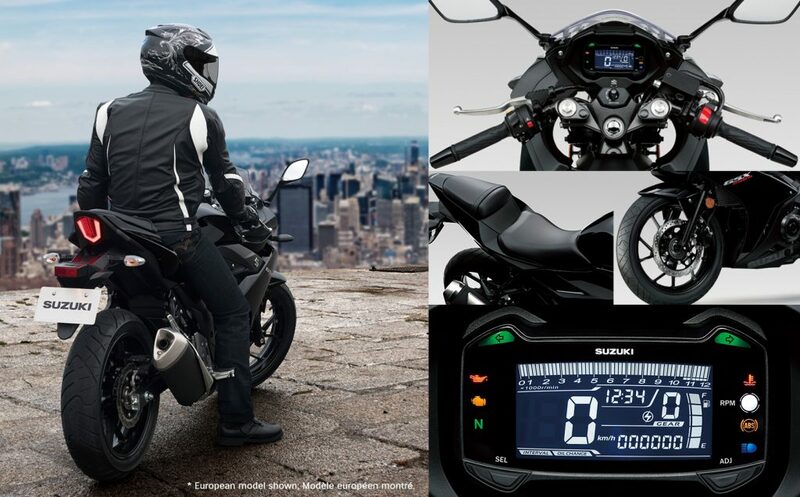 Other features include a trellis frame similar to the one on the H2, LED headlights, the largest brake rotors in its class and the same heads up display used on the the Ninja 650. I can’t wait to take one for a rip, and the price is right on this green machine even on the fanciest trim model. This Suzuki is quite a fine bike when you start looking at the attention to detail built into it. The full LCD display looks clean, bright and is easy to read. 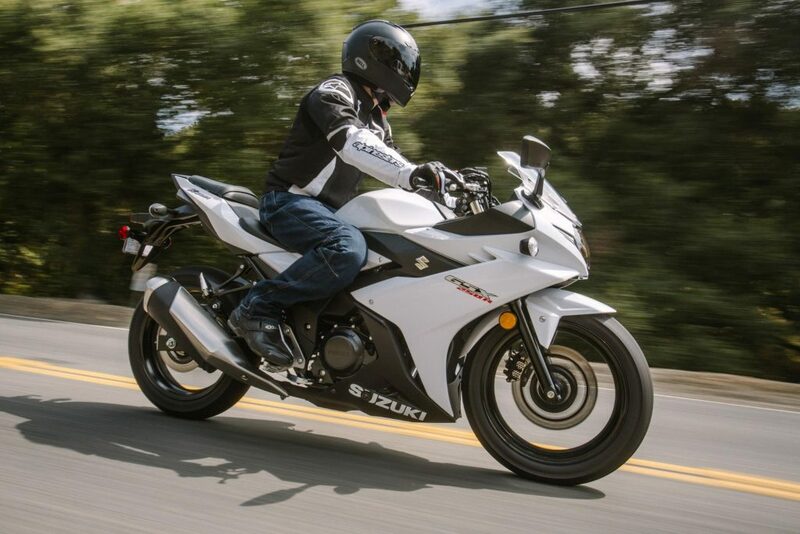 The added LED taillight and full fairings resemble the big superbikes Suzuki is known for. It’s super lightweight and nimble at 392 lbs with incredible fuel efficiency, and a comfortable seat to use during long rides. 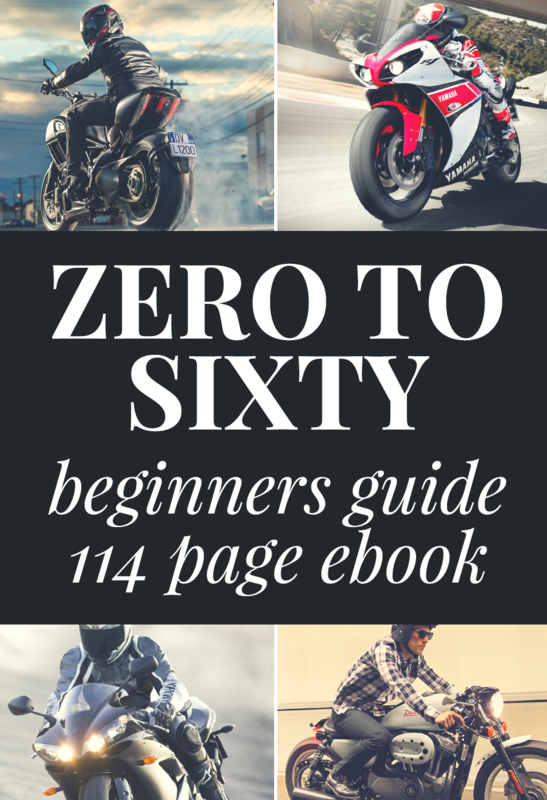 I believe this one is a beauty for smaller or more cautious beginner riders entering the sport bike class. The new Rebel bikes were so popular in 2017 that I didn’t get the opportunity to see one! I think many people were in the same boat. The Sales people I spoke to lamented how they couldn’t meet the demand in 2017 for these sweet cruisers. 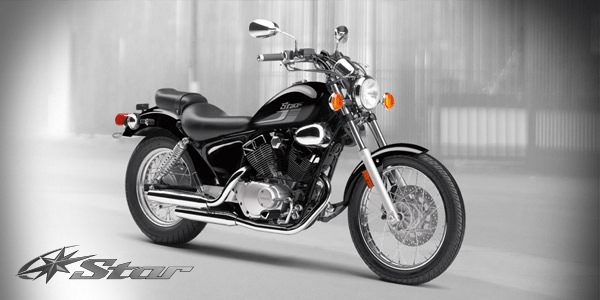 These new bikes are a step up from the very popular older generation of Rebel 250s produced during the 1980s and 90s. 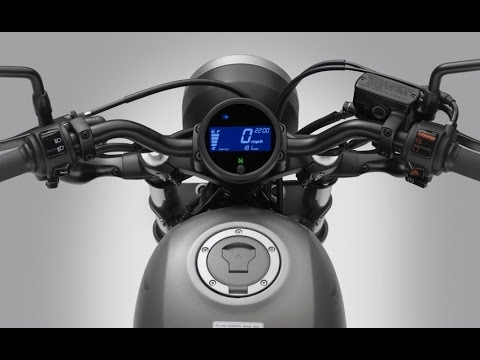 There’s nothing fancy about the Rebel, other than the futuristic display for information between the handlebars. It displays everything a rider needs to happily putt along on the light and maneuverable Rebel 500. 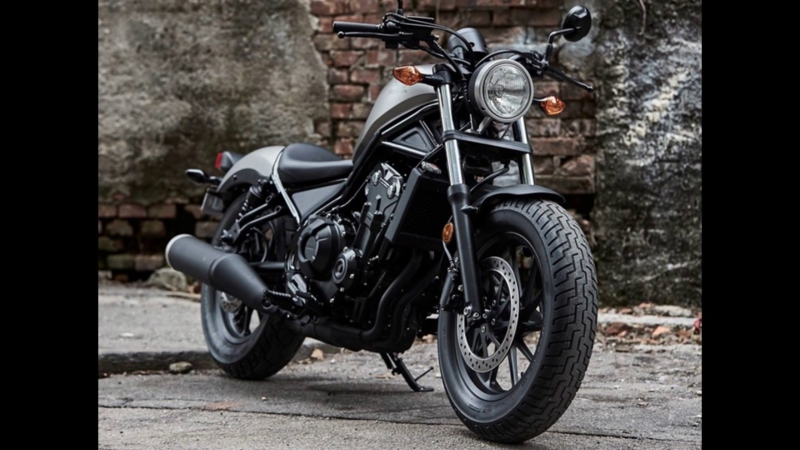 Fuel injection, ABS, a 6 speed transmission and liquid cooling are what the new Rebel needed and I like the blacked out, bobber styling they chose paired with the chubby tires front and rear. Power levels are optimal for learning to ride as is the low seat height at slightly over 27 inches. If the 500 engine seems too much, look no further than the Rebel 300. It is about $2000 less and has roughly half the horsepower of the 500. Still more than enough to move you around easily. The smallest V Star model in Yamaha’s lineup will be 30 years old in 2018 and is still going strong with new riders everywhere. The beauty of reviewing this bike is that you can use the same pictures along with the same specs because it hasn’t changed much other than in name. 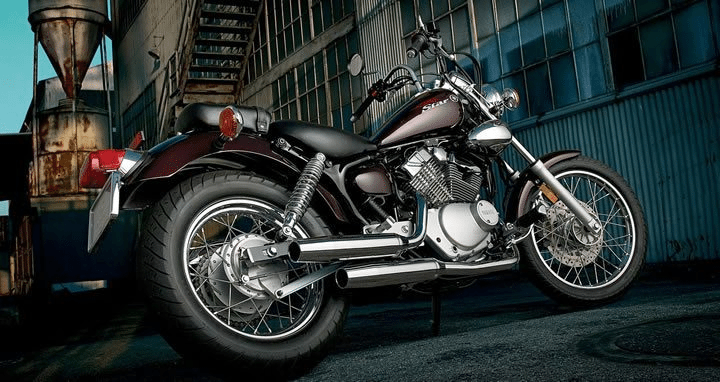 The 60 degree V Twin engine giving off a sweet, torquey growl mated to a 5 speed transmission and legitimate classic styling, is what the V Star offers owners in a nutshell. It’s carbureted, accented nicely in chrome and lighter than some dirt bikes at only 326 lbs. If something ain’t broken there’s no sense trying to fix it and that’s the case with this Yamaha cruiser to be sure. It’s not scaring anyone with it’s modest power or 27 inch seat height, rather it will be their best friend as they enter the two wheeled world we all love. It’s one of those bikes that feels like it’s going fast even at 50 mph. It keeps you grounded and safe. After a hiatus from the lineup since 2014, a real fan favourite has returned with excellent changes. 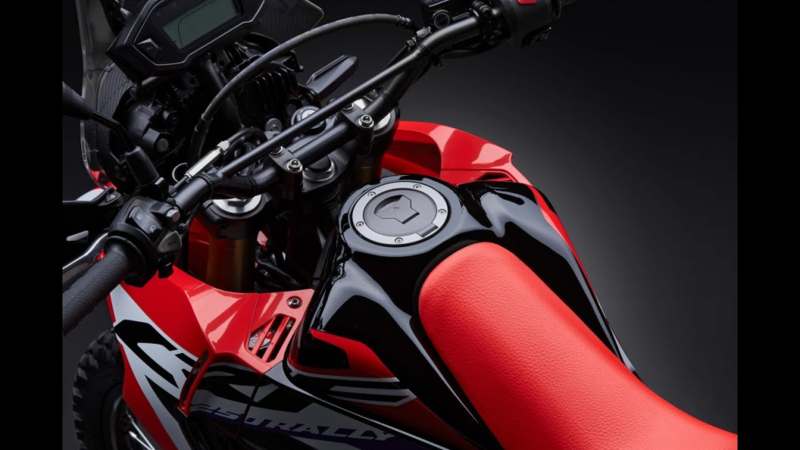 What was already an underrated dual sport bike is now challenging the best in class with the addition of fully adjustable suspension, fuel injection and more horsepower. Not to mention an optional digital camouflage graphics package. 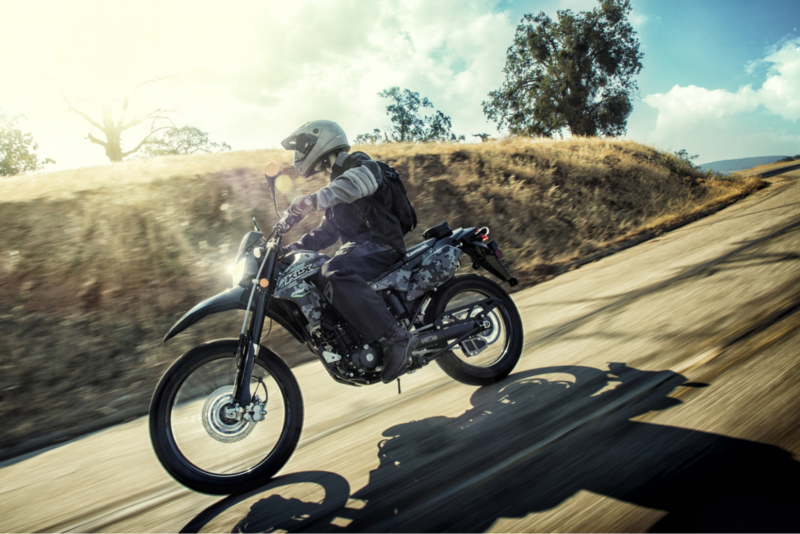 The KLX is a terrific beginner bike for dual sport enthusiasts. It has some borrowed technology and styling from the KX motocross line making it capable off road, but can easily run along the highway thanks to its 6 speed transmission. 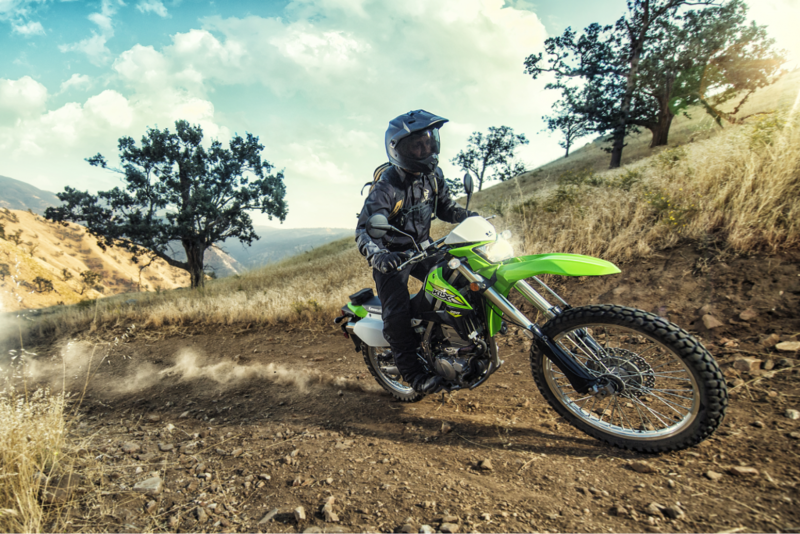 For the brand new price of a KLX, it’s difficult to buy used dual sport bikes from other manufacturers. Welcome back to the future, KLX fanatics! It’s tempting to include the Yamaha WR250R here instead of the Honda because the WR is such a terrific dual sport to ride. Instead, I’ve chosen to recommend the new CRF because of its beginner friendly power, better styling and comfort features. The head turning CRF250 Rally body panels were inspired by the CRF450 Dakar race bike and make this machine’s appearance really pop. 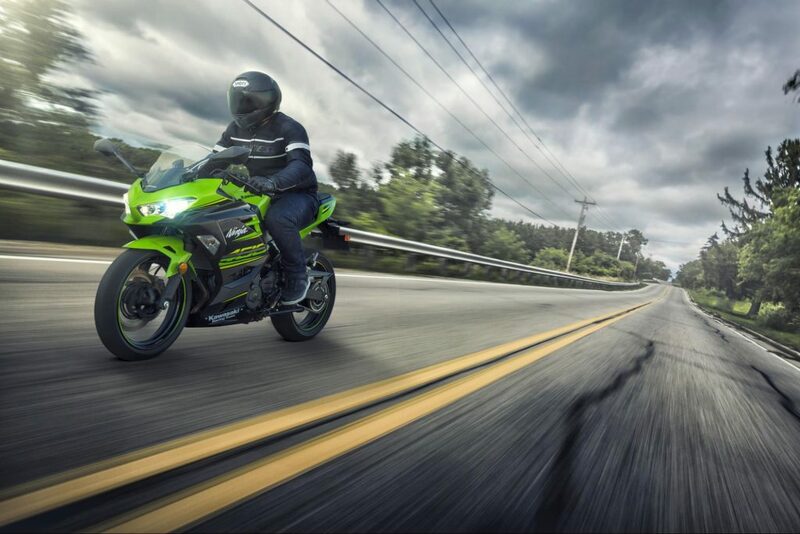 I love the upper fairing and windshield design that will help keep the wind off riders when riding on the highway. Other plusses include the integral small item storage compartment, ABS, fuel injection, and comfortable riding position. 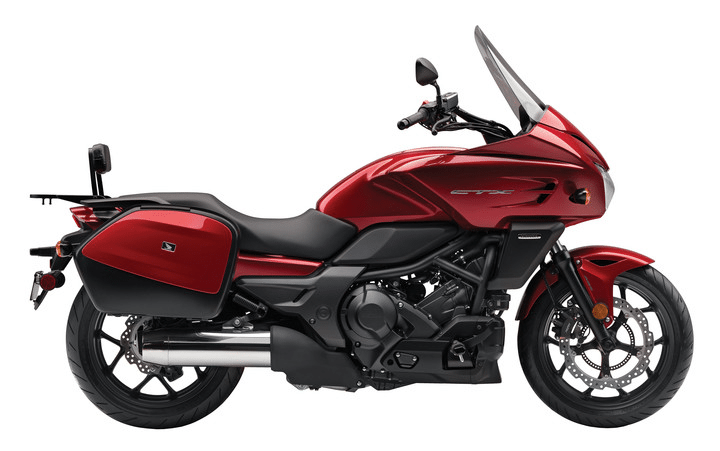 Especially convenient is the way Honda has built this bike with low end grunt. Torquey engines are forgiving for learners and provide positive throttle response too. Its linear power is effective off road. This CRF doesn’t have the best motocross suspension when off road riding but it’s happy doing moderate amounts of bush bashing. This video shows the Rally in action on gravel roads and more technical trails. 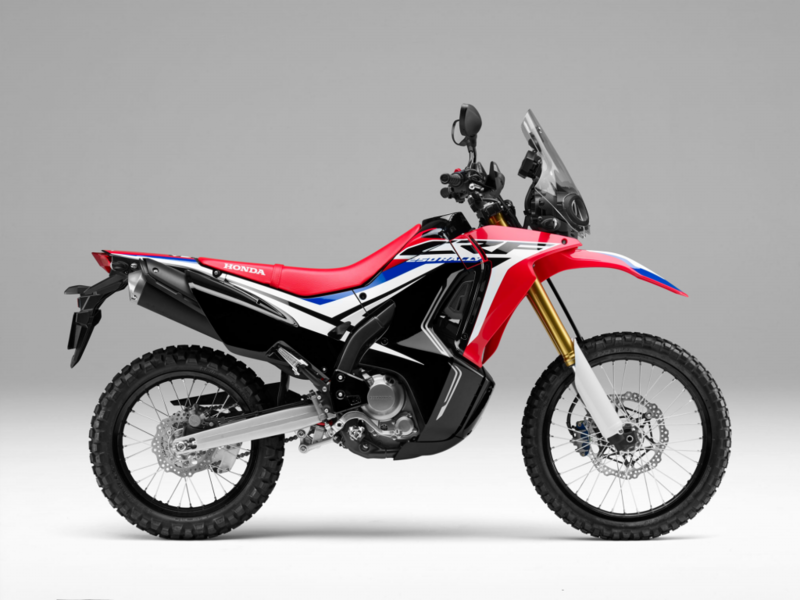 Honda has built a formidable dual sport in the 250 Rally. Choosing a touring bike when you’re just starting out can be challenging. 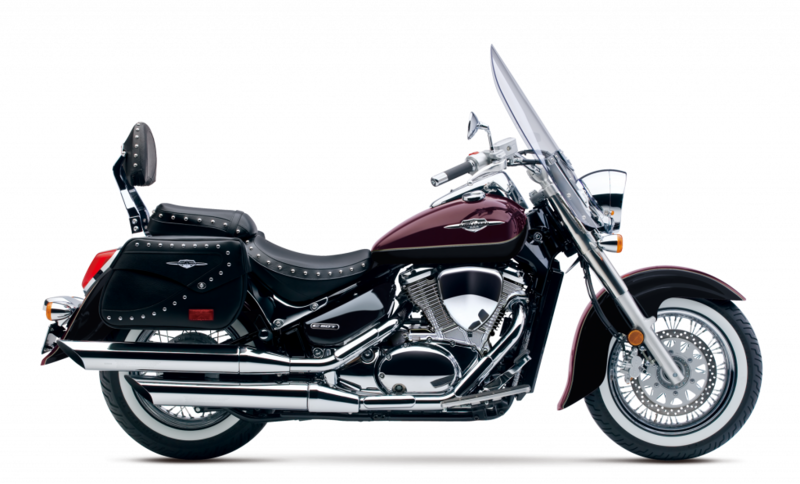 Most bona fide touring machines have massive engines with big power and weigh near the 900 to 1000 lb mark. Definitely not suitable for someone just cutting their teeth, but still needing a decently big engine to be comfortable at highway speeds, so some degree of compromise is needed. 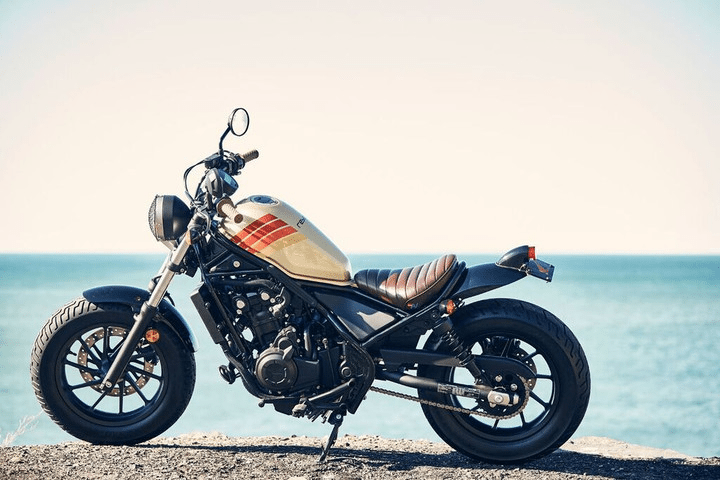 Motorcycles like the Suzuki C50T are a good place to start off. The Boulevard has a big windshield to take the pounding of long rides and a laid back seating position to keep a rider relaxed. The saddlebags included carry your gear but you’ll likely swap them out for something bigger as you travel more. I love the shaft drive system on the Boulevard for long rides. 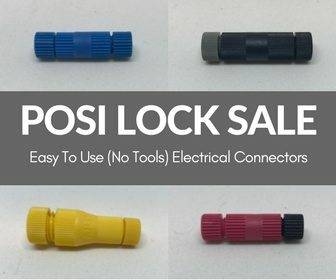 No chain to worry about lubing or adjusting as the miles pile up. Overall, these Suzukis are very reliable and trouble free and are equipped with fuel injection to keep things running smoothly. The big V Twin covered with chrome, leather, and encrusted with steel rivets is classic cruiser goodness. 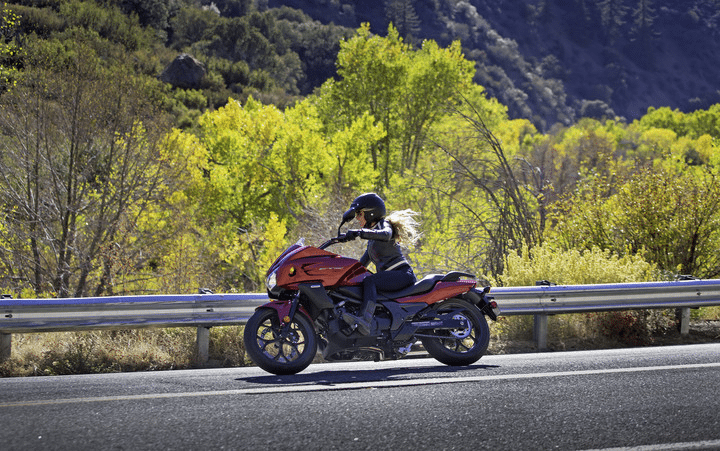 The 800cc engine and 644 lb weight may seem daunting to a beginner, but the higher weight helps calm the power of the larger than typical beginner sized engine. The weight is carried low in the frame so it feels much lighter than it is. The 27 inch seat height allows a rider to feel confident in keeping things rubber side down because their feet will be planted firmly on the ground. Here’s a great choice for touring with a twist for beginners in the CTX700 DCT. The CTX is satisfying to ride long distances thanks to the full upper fairing and windshield to direct wind around the rider. Though, you’re not so protected that you forget you’re on a bike, which is nice. 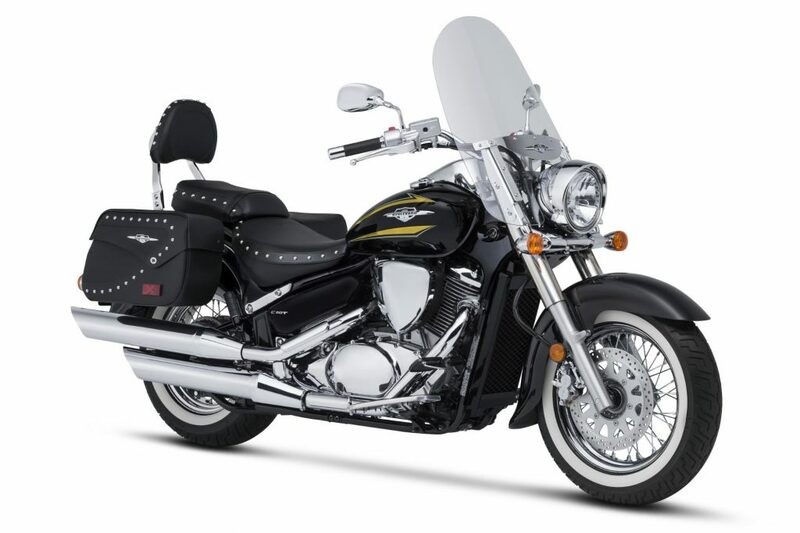 ABS, fuel injection, and hard saddlebags on the Deluxe model are welcomed and the horsepower and torque are nicely married into a lightweight touring package. Comfort, Technology and eXperience is what this bike is about. Let’s talk about the Technology of the optional DCT or Dual Clutch Transmission available on this model. Effectively, this bike shifts for you and so quickly that you won’t even notice it’s happening. You can shift it yourself by pushing buttons on the handlebars, but unnecessary as the system is nearly flawless. This is a measurable benefit to the learning of any new rider. DCT lets them concentrate on the road instead of how to pick a gear and manage a clutch. This CTX is a technological wonder and a solid choice for touring.